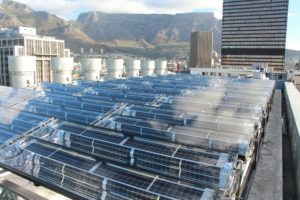 Park Inn by Radisson’s hotel in Cape Town has, together with Solarus, a producer of hybrid solar power collectors, installed the city’s first large scale commercial hybrid PV and thermal (PVT) project. The hotel has installed 30 power collectors, a unique technology which combines generation of thermal energy with PV generation of electricity and produces one of the highest energy yields ever measured. The power collector produces both electricity and hot water output up to 70°C, and delivers three times more energy on the same surface area than traditional PV panels. The installation, located on the hotel’s roof, is expected to produce an average of 1050 kWh of energy per week for the hotel. 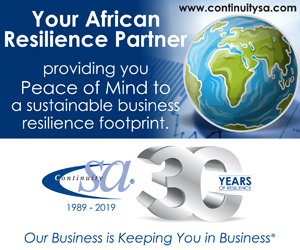 The energy produced in conjunction with the reduced demand from the grid will provide electricity and heat throughout the hotel, resulting in significant savings.